Here’s an SEO win that I never thought I’d experience. For a particular Gmail search term, we now outrank Google, on Google. 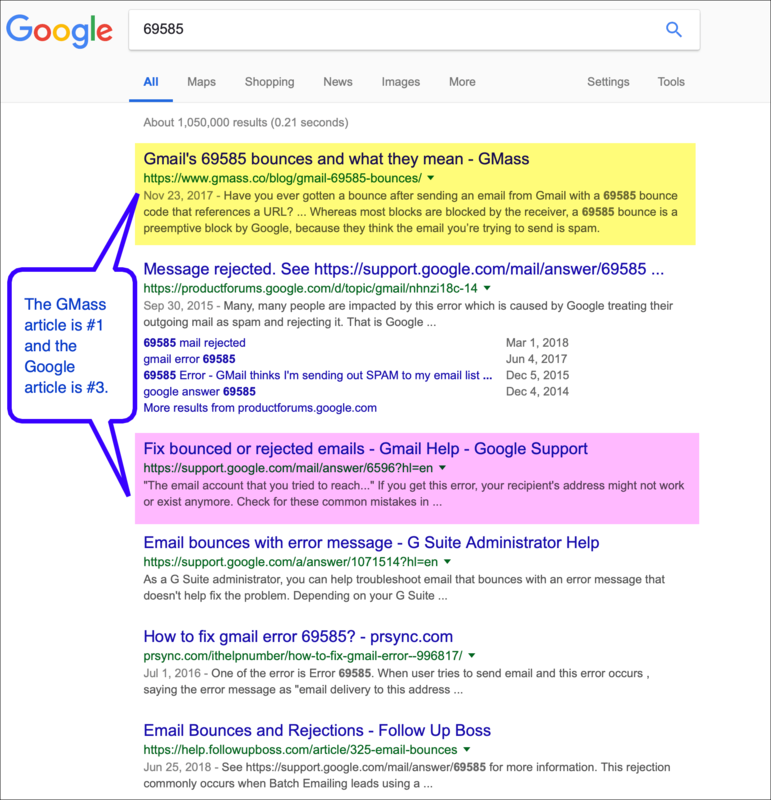 One of my articles about a Gmail bounce code outranks Google’s own page on that same bounce code. Can you believe GMass is #1 and Google is #3? Amazing! The GMass article is #1, and the official Google article is #3, with a support forum article sneaking its way into the #2 spot. If there was ever any suspicion as to whether Google favored itself, you can let that suspicion go. Good to see that its possible to outrank Google..